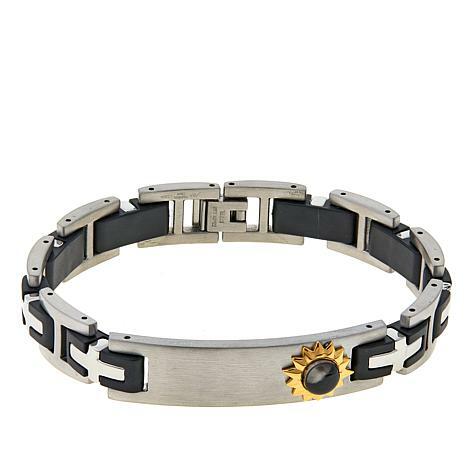 Here's a unique, fashionable way for the man in your life to connect to his faith. 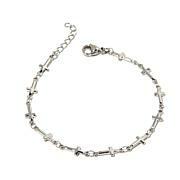 This handsome ID-style bracelet features an authentic Nativity Stone from the Holy Land. Combined with an inspirational engraving on reverse, it serves as a lovely reminder to remain steadfast and true throughout life's challenges. 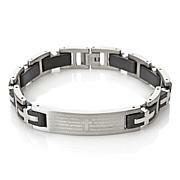 Engraved reverse reads: "Seal my soul as your own, that your reflection in me, may be a light for all to see. Amen." This bracelet exceeded my expectations! Beautiful, yet masculine. Having a piece of the stone that was in the same room as our Savior adds special meaning. I have received many compliments about the bracelet from friends and from strangers. I bought three pieces from this collection for Xmas presents. I received the jewelry this week and Im so happy with the purchase. Besides the symbolism which is everything the pieces are so well made. Beautiful truly beautiful! What can I say, beautiful, its going to be a Christmas gift. I know the person receiving it will be very happy. Giving this as a gift and it is beautiful!